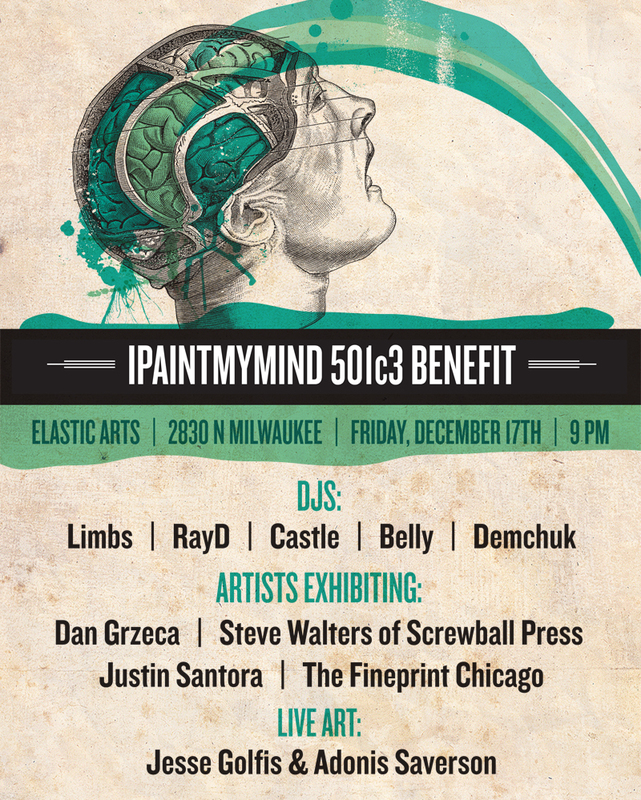 SO OUR GOOD FRIEND EVAN AND HIS CO-CONSPIRATORS HAVE STARTED THIS INCREDIBLE ART MAGAZINE CALLED IPaintMyMind! IPaintMyMind is a Nonprofit Arts and Culture Web Magazine and Art Advocacy Organization. We make art yours by partnering with creatives of all stripes to provide quality opportunities and outlets for real people to connect with the art and music that inspires them. IPaintMyMind is a nonprofit web magazine and art advocacy organization that grows organically, based on the willingness of creative people to share in their enjoyment of the arts. We believe IPMM is taking an important step in the direction of art sustainability by providing the virtual and physical spaces to promote the art we love. Whether an artist, musician, writer, photographer, or art-lover, IPMM is a portal for connecting to the art, music, and culture that celebrates your perspective. IPMM’s focus is to encourage creativity, positivity, and community – an attempt to improve quality of life through exposure to beauty. We promote creatives who inspire us, and we’re confident you’ll be inspired by them too. We hope to see you at our FREE events, and look forward to sharing culture that breathes life into our colorful and chaotic world. THEY'RE APPLYING FOR 501C3 STATUS, AND THEY'D LOVE YOUR SUPPORT - BUT WHY SHOULD YOU SUPPORT IPMM?? 3) you're sick of corporate media, trust IPMM's perspective, and want to see and hear more great art and music! $5-10 SUGGESTED DONATION, $20 DONATION GETS YOU A LIMITED EDITION IPMM PRINT with unique doodles by ADONIS SAVERSON on each one!! HELP US GROW THIS PUBLIC ART PROJECT!! THANKS SO MUCH! MEET and GREET the ARTISTS! -> RAFFLES - win art! 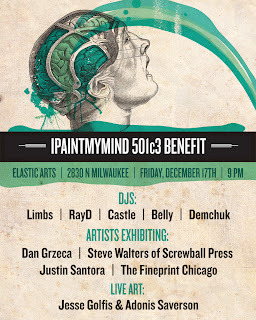 Please come out and support IPaintMyMind. You can RSVP and RePost this LINK.